Even if you brush and floss everyday, there are some common daily habits that put your teeth at increased risk for disease or damage. At our West Caldwell dental office, we’re here to educate our patients on all the ways they can help keep their smiles in the best shape, so we’ve included a guide to the top five tooth-damaging habits we often see. Besides kicking the habits above, or at least limiting them, you’re helping keep your smile bright and healthy. But that alone isn’t enough. Visit your dentist in West Caldwell at least twice a year in order to catch any problems early. Early detection is key to successful treatment of many oral health diseases and concerns. If it’s time to get your smile in its best shape yet, give our West Caldwell dental office a call. 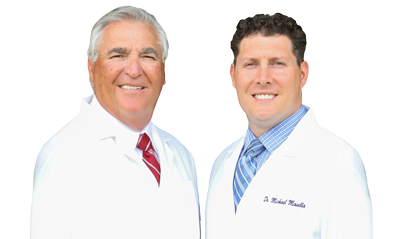 We’re always accepting new patients and would love to see you.